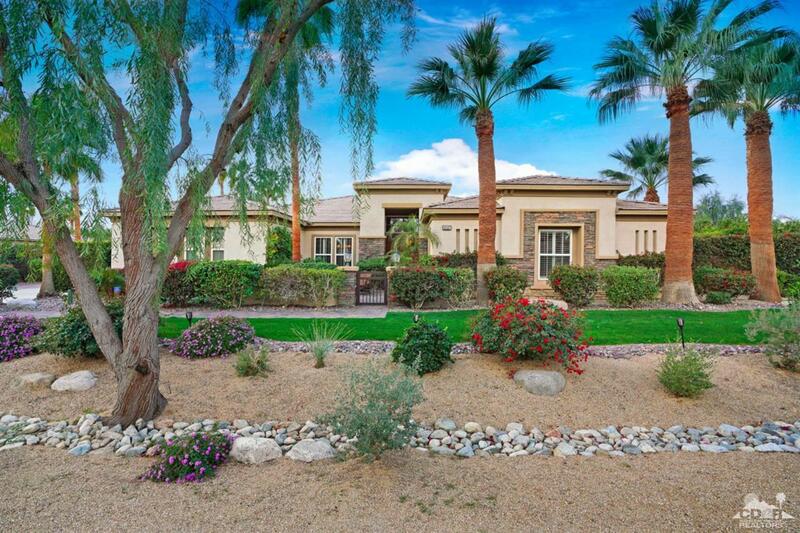 Great living space that sits on almost a half-acre lot inside the gates of Desert River Estates. 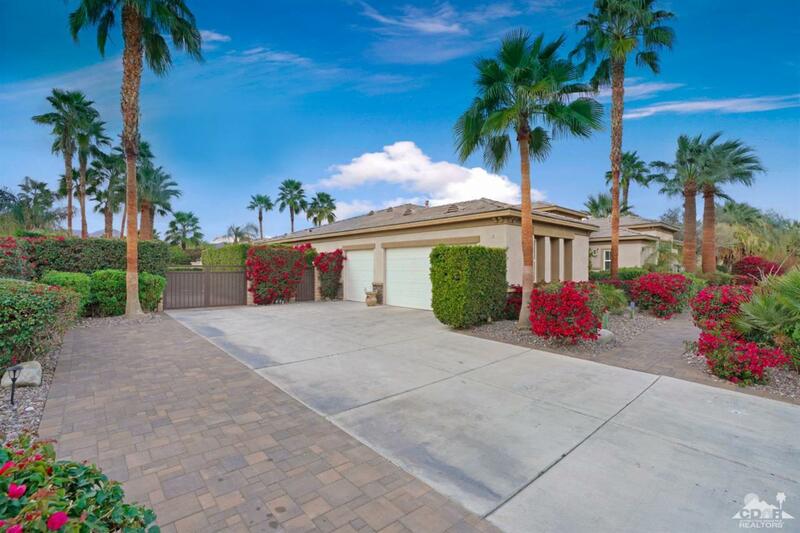 Well sought-after Plan 1 in Desert River Estates. So many Custom items throughout the house. Outside living is over the top with Salt Water Pool and Spa, Fireplace, Bar-B-Que, Misting System, Awnings outdoor TV, Putting Green and Chipping Block. RV Parking location behind gates, and much more. 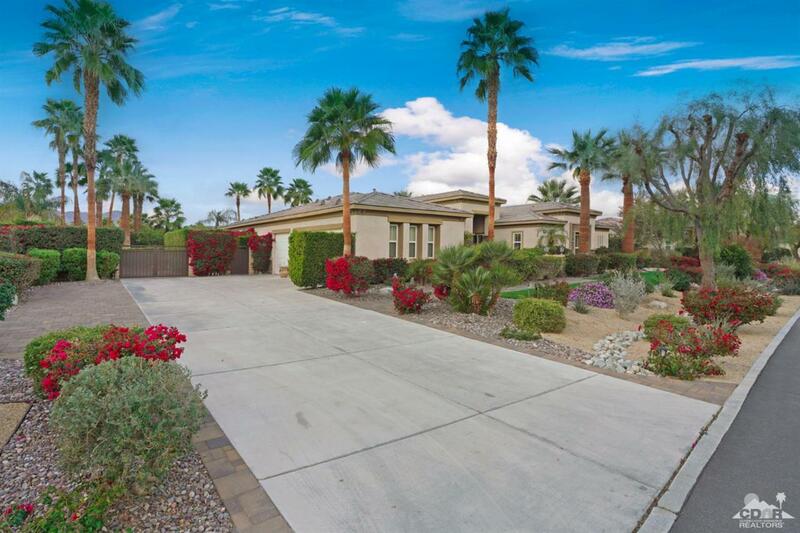 4 bedroom, 4.5 baths plus an office has much to offer to the desert lifestyle. 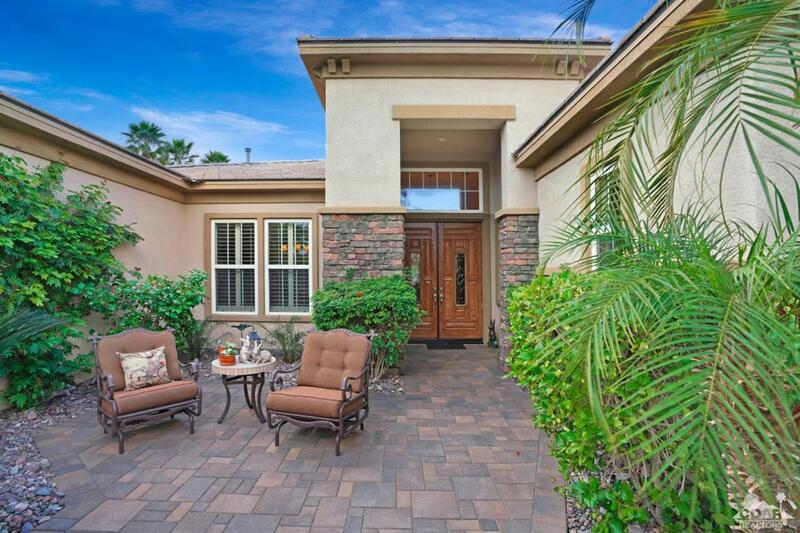 An amazing home with many upgrades and features and perfect for entertaining family and friends. Offered Furnished per inventory.